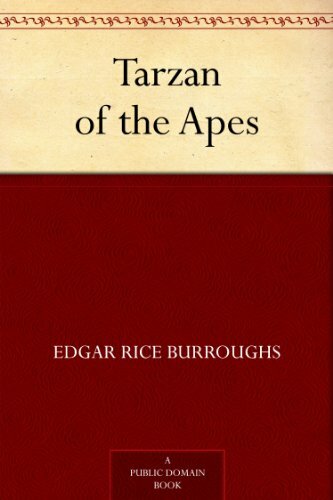 First published in 1914, Edgar Rice Burroughs's romance has lost little of its force over the years--as film revivals and TV series well attest. 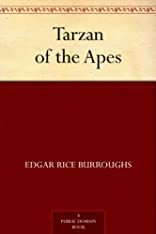 Tarzan of the Apes is very much a product of its age: replete with bloodthirsty natives and a bulky, swooning American Negress, and haunted by what zoo specialists now call charismatic megafauna (great beasts snarling, roaring, and stalking, most of whom would be out of place in a real African jungle). Burroughs countervails such incorrectness, however, with some rather unattractive representations of white civilization--mutinous, murderous sailors, effete aristos, self-involved academics, and hard-hearted cowards. At Tarzan's heart rightly lies the resourceful and hunky title character, a man increasingly torn between the civil and the savage, for whom cutlery will never be less than a nightmare. The passages in which the nut-brown boy teaches himself to read and write are masterly and among the book's improbable, imaginative best. How tempting it is to adopt the ten-year-old's term for letters--"little bugs"! And the older Tarzan's realization that civilized "men were indeed more foolish and more cruel than the beasts of the jungle," while not exactly a new notion, is nonetheless potent. The first in Burroughs's serial is most enjoyable in its resounding oddities of word and thought, including the unforgettable "When Tarzan killed he more often smiled than scowled; and smiles are the foundation of beauty."